The party is about to begin in this 30 X 70 white festival tent. Our tents allow you to have a party in your own backyard with convenience and style. It is a beautiful backyard canopy giving shade and defining the party area for your guests. 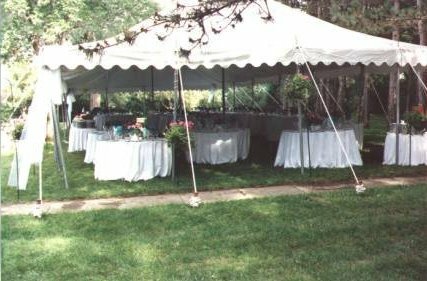 Consider a tent rental for your next party.